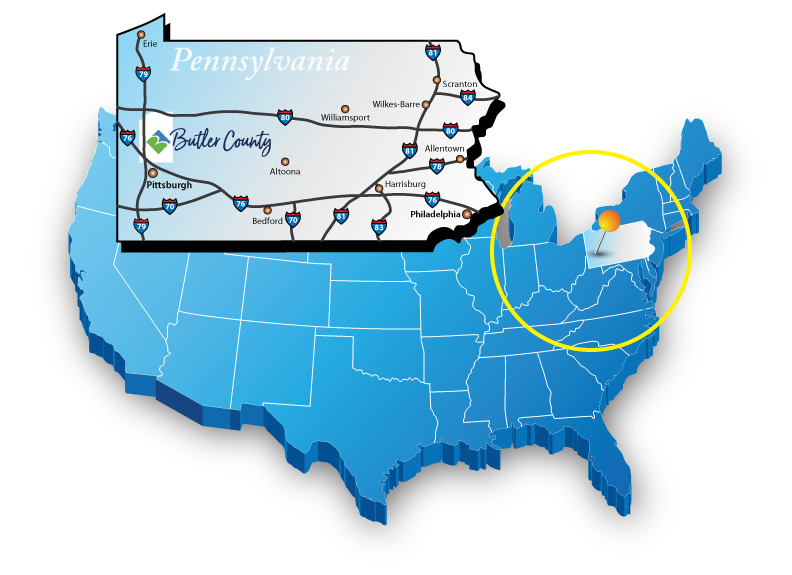 Group Tours | Visit Butler County Pennsylvania! 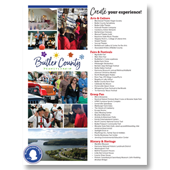 * Historical tours of Saxonburg and/or Harmony which includes dozens of unique shops! * Shopping - Antique, Fashion, and gift! 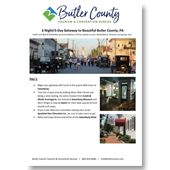 Butler County is bus friendly with FREE parking at all of our many hotels and our venues are very group friendly. 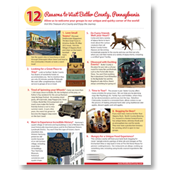 Call Jackie Antonucci today toll-free at 866-856-8444 and have her develop a specialized itinerary for your group. It will be a great memory for your bucket list! You can also access our basic itineraries here. 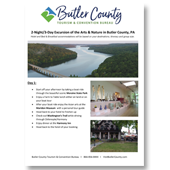 Butler County, PA offers a wide range of activities for groups, ranging from revisiting history in the Harmony National Historic Landmark District to experiencing the past at the Old Stone House. Group participation is encouraged at Playthings, Etc., a toy store housed in a building resembling a stealth bomber and at the Glass Blowing Center where groups learn about the art of glass blowing. Environmental tours are available at Moraine Preservation Foundation and Jennings Environmental Center. An impressive array of accommodations and dining options are available to serve your needs.